"True or false: most Christian pastors and counselors agree on what forgiveness is and how it should take place." This question is part of Chris Brauns's Forgiveness Quiz that draws readers into his book and gets them thinking about the subject of forgiveness. The truth is, pastors and counselors disagree profoundly on this subject. Unpacking Forgiveness combines sound theological thinking and honesty about the complicated questions many face to provide readers with a solid understanding of biblical forgiveness. Only God's Word can unpack forgiveness. The wounds are too deep for us to find healing on our own, and the questions are too complex to be unraveled by anything but the wisdom of God. This book goes beyond a feel-good doctrine of automatic forgiveness, balancing the beauty of God's grace and the necessity of forgiveness with the teaching that forgiveness must take place in a way that is consistent with justice. Chris Brauns (DMin, Gordon-Conwell Theological Seminary) is the senior pastor at the Red Brick Church in Stillman Valley, Illinois. "Offenses will come. It's a given. Unpacking Forgiveness wisely prepares us for the aftermath. Grieving the loss of our six children in a van accident and then being reminded of that loss throughout thirteen years of subsequent battles forced us to search the Scriptures concerning the issue of forgiveness. Chris not only has confirmed answers that we had found but has thoroughly sorted out what it takes to be right with God and man. This is a diligent work with heart." "Forgiveness of one another is one of the most important subjects in the Bible, and yet one so often misunderstood. Now Christopher Brauns has done a magnificent job in helping us understand the true nature of biblical forgiveness. Every Christian will profit from reading and applying this book." "Here is a book that lives up to its title. Forgiveness remains a distant dream for many people precisely because they don't know what it means, where to begin or what to expect. Blending contemporary stories with the teaching of the Bible, Christopher Brauns unpacks forgiveness so that we can be set free from bitterness. I especially appreciated his emphasis on coming back to the character of God and learning to delight in him as the only way forward when we have been deeply hurt. A book to be read on your knees. It could change your life." "There is no more common or urgent pastoral need in the church today than to cultivate the gospel practice of forgiveness. Christians need to know what the Bible teaches and live it out, radically. Unpacking Forgiveness: Biblical Answers for Complex Questions and Deep Wounds is an engaging, convicting, but emphatically encouraging treatment of this hugely important (and sometimes mind-bogglingly challenging) part of life. Dr. Brauns writes from the standpoint of a faithful, wise, experienced, and caring pastor who has seen the heartbreak of an unforgiving spirit at work in the lives of people, but also the power of grace in the hearts of Christians who have learned to forgive and be forgiven." "There are few things more unnatural and few things more holy than forgiveness. Living as we do in a fallen world, we are given endless opportunities both to extend and to seek forgiveness. 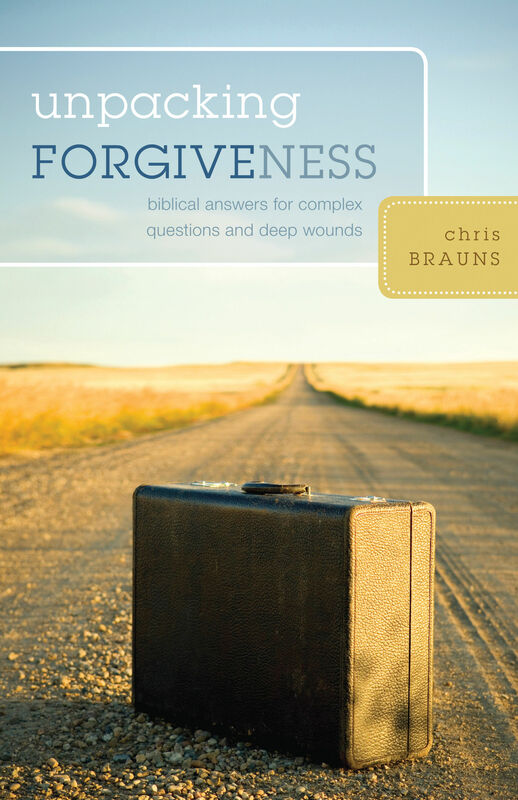 In Unpacking Forgiveness, Chris Brauns eschews the easy answers and looks to the Bible to provide God's wisdom on how and when we are to forgive. Relying on his experience as a pastor and his deep knowledge of Scripture, he provides what is a logical, well-illustrated book on the subject. With humor at times and appropriate gravitas at others, Brauns leads the reader first to understand and then to apply what the Bible teaches on forgiveness. Because it deals biblically with a subject of universal importance, any reader can benefit from reading Unpacking Forgiveness. I recommend that you do just that." 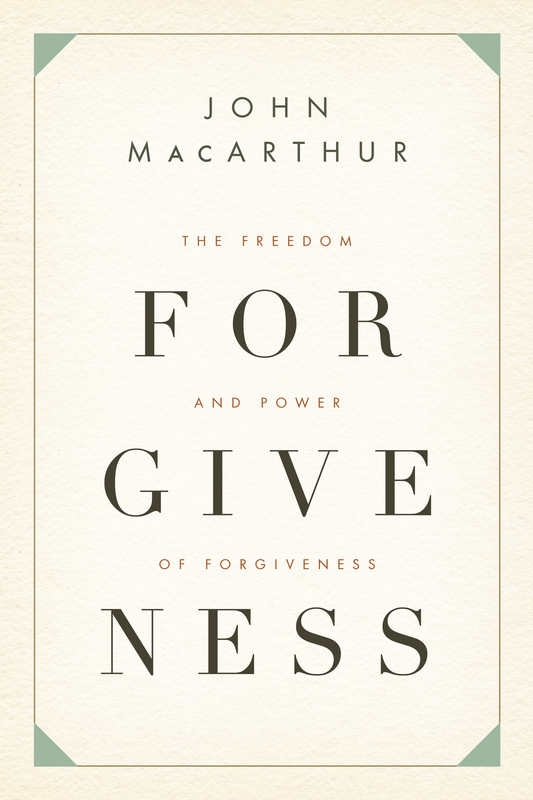 "Using the parameters 'forgive as God forgives,' this book describes something other than a cheapened, 'automatic' forgiveness. Dr. Brauns lays careful gridlines that are 'dripping with Scripture,' as he puts it, for working through complex and deeply painful situations. Unpacking Forgiveness offers a tender hand of guidance to those who ache to unpack what life has flung at them and awakens a longing for the happiness that only forgiveness can bring." "In a culture that all too often embraces oversimplistic remedies for forgiveness and reconciliation, Brauns provides a truly helpful and honest discussion about biblical forgiveness. Unpacking Forgiveness will be an essential resource for small groups, students, and ministry leaders (seasoned or newcomers) because it wrestles with the intellectual, emotional, and biblical issues of living in redemptive relationships in a fallen world." "Unpacking Forgiveness is a must read for every believer. All my life I was told to forgive, and now Chris Brauns tells me how. This practical and powerful book paints a penetrating picture of the forgiving Christ, my model on how to forgive. I cannot escape the bold and beautiful biblical truths within these pages. As a Christ-follower, I know exactly how to respond to those who have hurt me, and each action response sets me free . . . indeed." "Traveling through life cannot be done without 'unpacking forgiveness.' This is as good an explanation on what true forgiveness is and how it is accomplished as I have ever read. All interpersonal relationships and our relationship with God an be helped by reading this book. Unpacking Forgiveness is a compelling read." "Biblical, accessible, thorough, and practical, Rev. Brauns builds from the Scriptures a solid model of forgiveness that is clear, engaging, and convincing. He tackles the issues, answers the questions, and provides the guidance needed to forgive even the hard cases in a Christ-honoring way. Highly recommended!" "Chris Brauns has written a twofer. Unpacking Forgiveness not only challenges popular, therapeutic notions of forgiveness, but it also supplies practical, step-by-step instructions for those who aren't sure how to begin. Grounded in Scripture and sharpened by ministry to hurting people, Brauns's godly counsel will inspire many to shake off years of guilt and bitterness and begin the long, healing journey of forgiveness." "With pastoral realism, biblical conviction, and thoughtful reflection on wide reading, Brauns masterfully unpacks the complexity of Christian forgiveness. His humor and liveliness, with a striking story-telling gift, disarmingly navigate beyond the popular 'therapeutic model' into a deeper understanding of biblical forgiveness. From the opening quiz you know his approach is different, and you will likely find your questions both asked and answered by this powerfully practical book. Taken seriously it will revolutionize your life."